Ken’s practice at Carrell Blanton Ferris is focused on trust and estate planning and business formation and succession planning. He serves clients in our Virginia Beach office. Ken specializes in helping families and business owners preserve, and pass on their wealth and values with special attention to the individual needs of each client, such as inheritance and asset protection, estate and gift tax planning, multi-generational planning, and the unique needs of blended families and business owners. 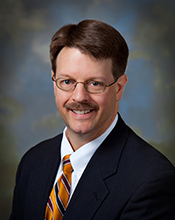 Ken has been practicing law in Hampton Roads for seventeen years. He received his law degree and a master’s degree in public policy from Regent University in 1995 and served as a prosecutor in Virginia Beach before entering private practice in 2004. In addition to his experience in estate and business planning, Ken has an extensive background in residential and commercial real estate and dispute resolution. Ken is a member of the Trusts and Estates Section of the Virginia State Bar, the Virginia Beach Bar Association, and Wealth Counsel, LLC. He lives in Virginia Beach with his wife of nineteen years and their three children.